Frizbee puppy is a unique and adorable version of man's best friend! 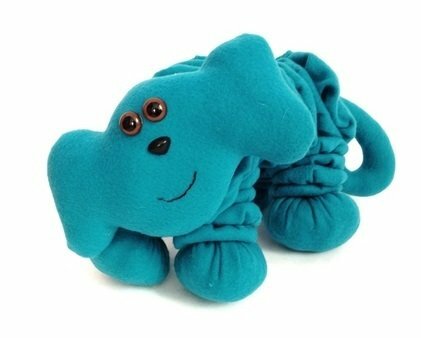 Body is made from fabric circles to give the puppy it's unique look. This pattern will show you how to create your own frizbee puppy! Made from fleece fabric.